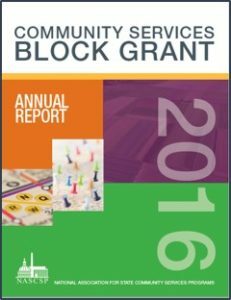 Each year NASCSP’s CSBG Services conducts a detailed survey of the CSBG network that describes the sources of funding, services provided, clients and communities assisted, and the results achieved. This information is shared with the network and other research organizations in the form of national reports, articles, and best practices. 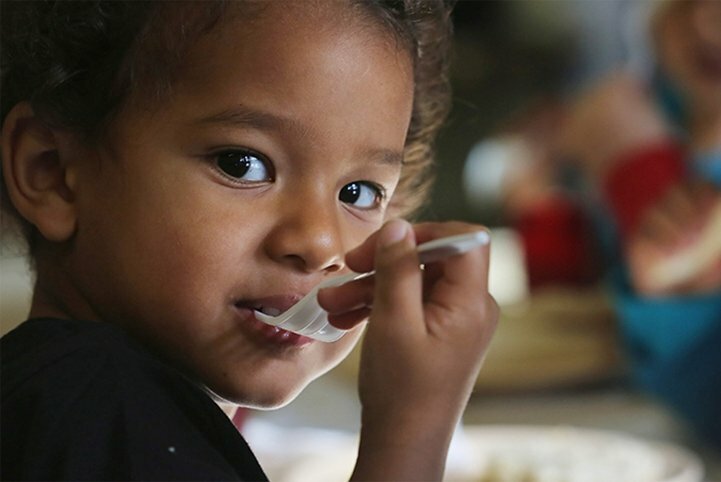 Full Version– This features data, statistics, graphics, outcomes analysis, and all state-level appendices data from Federal Fiscal Year 2016. Text Only– This features data, statistics, graphics, and outcomes analysis from Federal Fiscal Year 2016. Appendices Only– This features solely the state-level appendices data from the Federal Fiscal Year 2016. 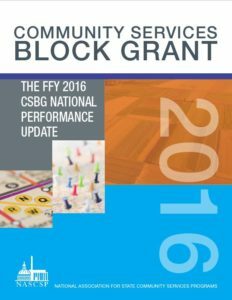 The FFY 2016 CSBG Highlights, featuring Federal Fiscal Year 2016 data from the CSBG Information Systems (IS) Survey and Module 1 of the new CSBG Annual Report. 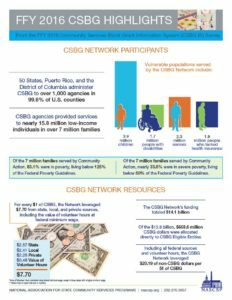 2016 Annual Report: Full– The 2016 CSBG Annual Report features data, statistics, graphics, and outcomes analysis, and all state-level appendices data from the FY2015 CSBG IS Survey. 2016 Annual Report: Text– The 2016 CSBG Text-Only Annual Report features data from the FY2015 CSBG IS Survey, statistics, graphics, and outcomes analysis for the national aggregate analysis. 2016 Annual Report: Appendices– For state-level data only from FY 2015 – no analysis. 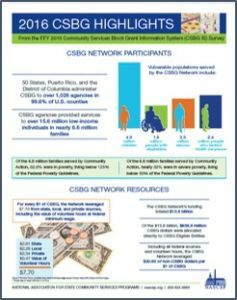 2015 Annual Report: Full – The 2015 CSBG Annual Report features data, statistics, graphics, and outcomes analysis, and all state-level appendices data from the FY2014 CSBG IS Survey. 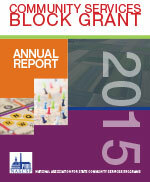 2015 Annual Report: Text – The 2015 CSBG Text-Only Annual Report features data from the FY2014 CSBG IS Survey, statistics, graphics, and outcomes analysis for the national aggregate analysis. 2015 Annual Report: Appendices – For state-level data only from FY 2014 – no analysis. 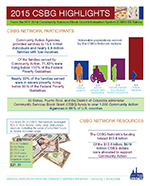 The 2015 CSBG Highlights, featuring data from the FY2014 CSBG IS Survey.